Our King Bed room is a sight to behold. We will take in the panoramic views from this elegantly designed living space, complete with a 32 inch television, WiFi, large desk, and granite vanities. We will have all of the comforts of home at our disposal in this wonderful guest room. 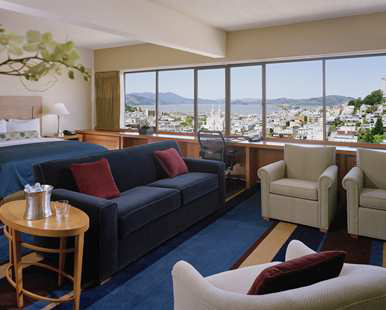 Our King Bay View room is unlike any other accommodation in San Francisco. This modernly decorated space gives us a close up view of the San Francisco Bay, and after a long day of exploration, we will unwind and watch a movie on our 32-inch television. Granite countertops and vanities add to the overall luxurious feel of the room, making this an ideal space for us for our honeymoon. San Francisco Bay views, high-floor, 37-inch TV, WiFi, large desk, granite vanities. Our King Premium Floor Bay View room provides us with stunning San Francisco Bay view from the 20th, 21st, 22nd or 23rd floor. We will enjoy a range of on-demand movies on the 37-inch TV and utilize the ergonomic chair, catch up with work at the desk or we can surf the web with WiFi. Special touches include plush bathrobe, remote printing services and daily newspaper delivery, Monday to Friday. Granite countertops and vanities add an air of elegance. When we select our King Premium Floor City View Room, we will take in the city views from the 20th, 21st, 22nd or 23rd floor and enjoy a range of on-demand movies on our 37-inch TV. WiFi is also at our disposal, along with a bathroom that boasts granite vanities. 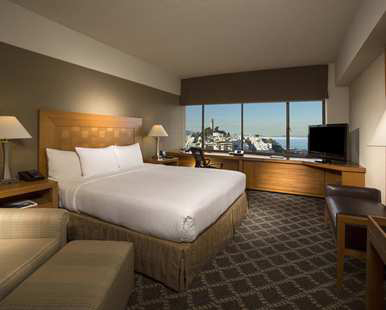 Our King Junior Suite allows us to take in the beautiful views of San Francisco from our wall of windows. This 548 square foot living space is accessible to the Executive Lounge, which provides us with special treats throughout our stay. With special touches like a wet bar, living room, and standalone shower, this suite has amazing amenities that make this space stand out. The 750 Bar serves a variety of savory options for lunch and dinner. 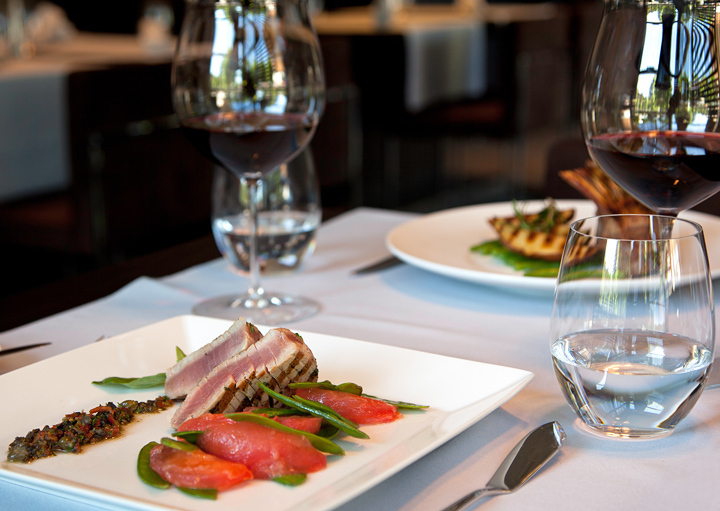 From Seared Ahi Wontons to Grilled Berkshire Pork Chop to Soy Lacquered Short Ribs, each dish is unique and flavorful. 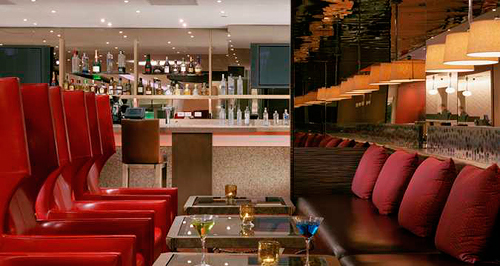 Whether we are in the mood for cocktails or a healthy meal, 750 Restaurant & Bar is always warm and inviting. 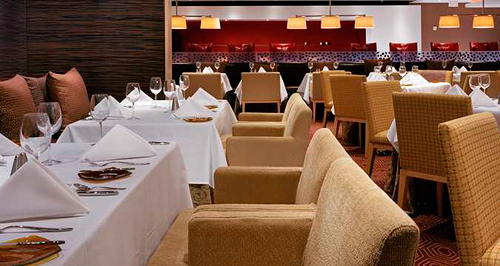 At the 750 Restaurant, we will partake in some of the best food in San Francisco. In the morning, we will choose from the Hilton Breakfast buffet featuring a broad array of dishes or from a sumptuous a la carte menu. Recessed booths form pockets of privacy for an intimate dining experience for us, and we also have the option of eating in the Private Dining Room. 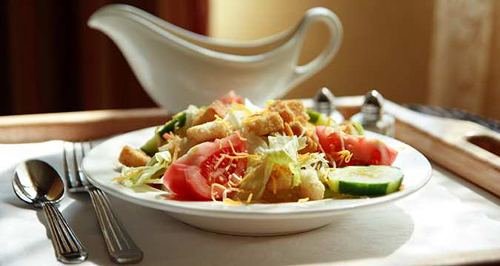 Whatever we choose, we will be sure that our meal at the 750 Restaurant is sumptuous and delicious. We will unwind in the afternoon at Flyte Wine and Beer Bar, where we will choose from a range of small appetizer plates and sip on local wines from Sonoma and Napa County vineyards. 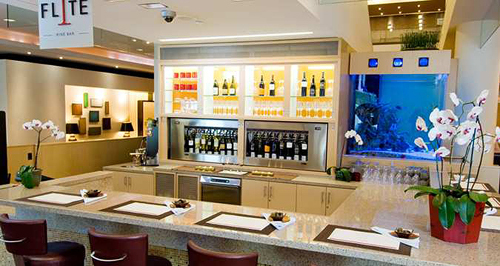 Flyte features a wrap-around granite high-top bar and a stylish glass display of premier wines, housed in a high-tech Enomatic storing system. We will toast to our new lives together in this chic and modern setting, creating a tasteful and unforgettable memory. On our romantic honeymoon at the Hilton San Francisco Financial District, we will experience pure luxury with room service for breakfast, lunch and dinner. We will choose from a menu featuring a variety of gourmet selections to make our honeymoon that much more memorable from the comfort of our room! With your generous gift, we will celebrate our honeymoon at the Hilton San Francisco Financial District in the iconic city of San Francisco! Here, we will have easy access to local sights, such as North Beach, Chinatown and the Financial District. 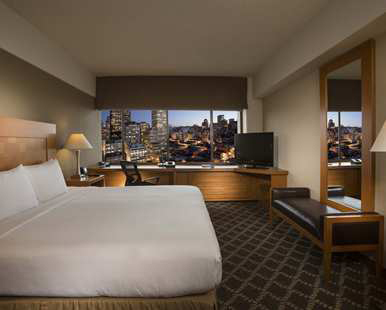 The Hilton San Francisco Financial District hotel boasts stunning bay and city views, and during the day we will stroll through downtown and visit the Moscone Convention Center, Union Square, Fisherman's Wharf, Market Street and the Embarcadero. We sip on a coffee or local Merlot at Flyte Wine and Beer Bar or dine on gourmet cuisine in the relaxed yet sophisticated atmosphere of 750 Restaurant & Bar. Whatever we choose to do, our honeymoon in San Francisco promises to be unforgettable. 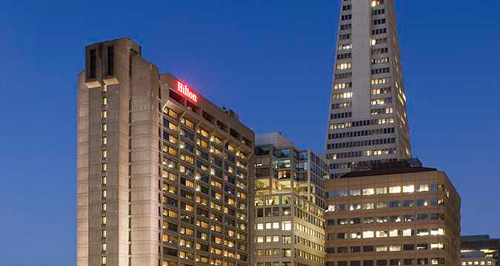 On our honeymoon, we will stay at the Hilton San Francisco Financial District in San Francisco, California. Here, we will be only steps away from some of the city’s most well-known spots, such as Chinatown and North Beach. After a long day of exploration, we will rest in one of the hotel’s fine accommodations, including a Junior or Presidential Suite. At night, we will enjoy cocktails and savory cuisine at the elegant 750 Restaurant & Bar and sample local California wine at the stylish Flyte Wine and Beer Bar. Your thoughtful contribution allows us to shop, dine, and explore San Francisco at our own leisure. A chilled bottle of champagne will be delivered to our suite. We will make a toast to our romantic honeymoon in San Francisco while taking in the sweeping views of the city’s surroundings from our balcony. How romantic! A bottle of our favorite wine will be delivered to our room or suite. We will make a toast to our honeymoon while taking in the enchanted views of San Francisco. We will discover romance at its best! On our romantic honeymoon at Hilton San Francisco Financial District, we will tantalize our taste buds with a sweet treat! A platter of six freshly baked cookies and a glass of cold milk will be delivered to our room or suite where we will enjoy delightful decadence. 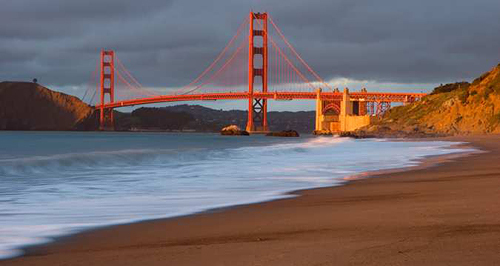 With your lovely wedding gift, we will indulge in fresh flavors on our honeymoon in San Francisco. A small basket filled with sumptuous, sweet fruits will be delivered to our room or suite for a delightful and healthy treat! 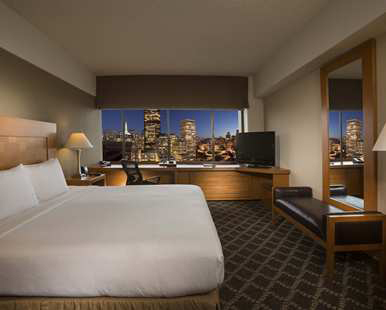 From the comfort of our charming room or suite at Hilton San Francisco Financial District, we will enjoy a platter of sumptuous fruits, a variety of rich cheeses and savory crackers. 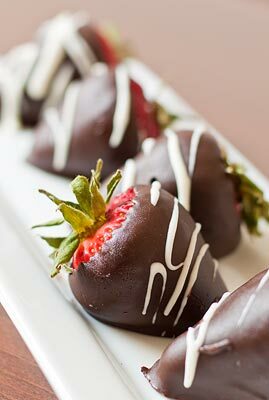 At Hilton San Francisco Financial District, we will take delight in a sweet treat! A platter of six succulent strawberries dipped in rich chocolate will be delivered to us in our room or suite so we can enjoy this divine honeymoon dessert.